At 70, multifaceted actor Aruna Irani looks back at decades-long career not many actors can boast of. Geeta Nair: You have had a long innings in the industry. How has been the journey so far? 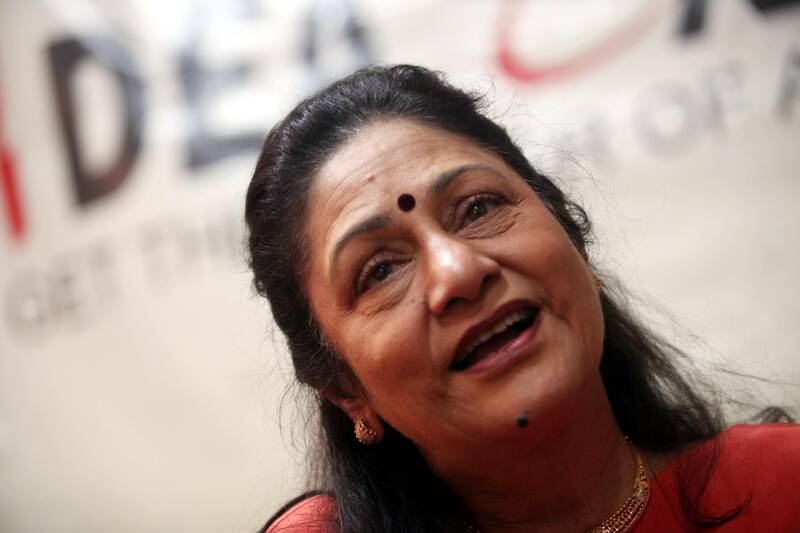 Aruna Irani: It has been a beautiful journey. The film industry is a very beautiful line of career. I wish God brings me to the same industry in my second birth. There are a few people who condemn it owing to casting couch stories. But casting couch exists in other industries also; it’s everywhere. The only difference is, in Bollywood you get to know. Garima Mishra: With Bol Baby Bol, you are acting in a Marathi film after 20 years. What stopped you till now? 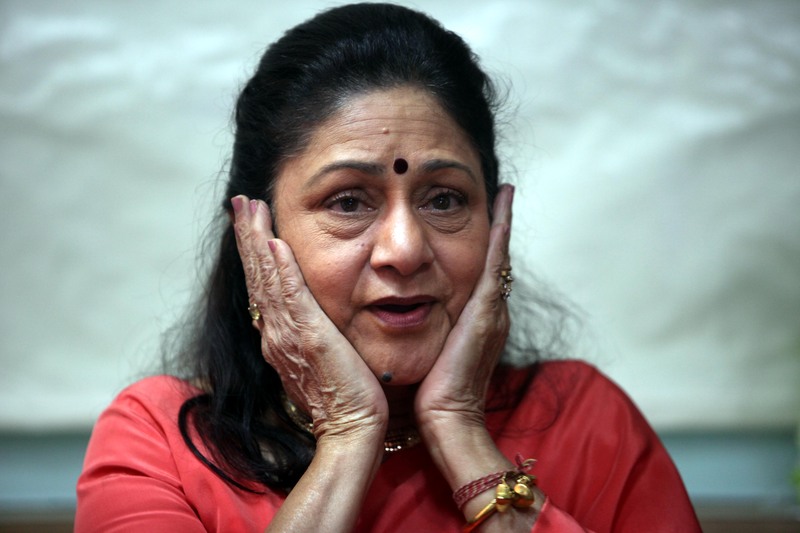 Aruna Irani: I did not have the courage to speak Marathi fluently earlier. Besides, the roles I was offered were not very interesting. In this film, I play the central character. My brother, who has produced the film, offered it to me and I said yes. My role is of the mother. The interesting part is that she is a firm believer in astrology. Anuradha Mascarenhas: You and actors Helen were known as dancing queens. Today each film has an item song. So what is the difference between older films and the contemporary ones? 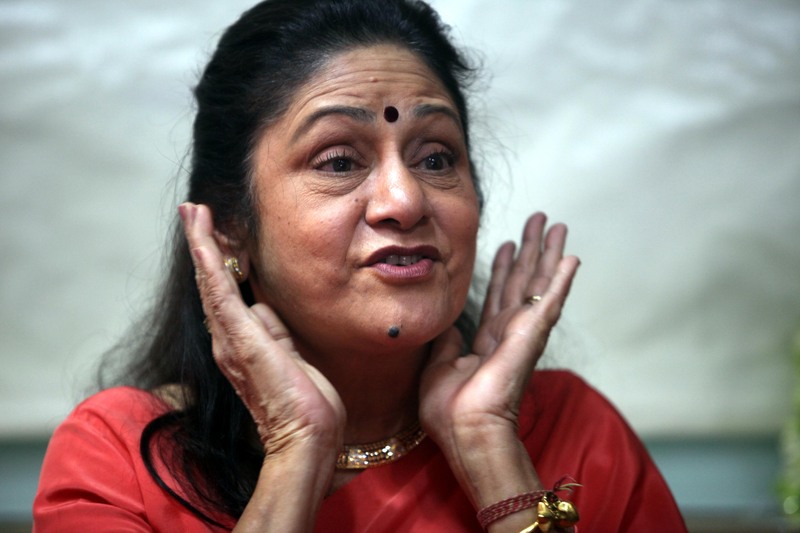 Aruna Irani: See,actresses are not born dancers. These days pubs and discos are very much part of our culture where girls can go and dance without any hitch. The only difference is the movements and the costumes. Those days, the costume of the actor doing an item number would be a low-cut blouse, ghaghra or sari. Even making of the film was different. Earlier, the heroines never did the item number. Similarly, heroes weren’t expected to do comedy. There were character artistes who did such roles. These days, heroes are doing comedy and heroines doing item numbers. Sunanda Mehta: You were ahead of your times. Aruna Irani: Yes but today if you see costumes of our times, you will feel the costume is pretty decent. Sunanda Mehta: When Bombay to Goa was released, you were a known name and not Amitabh Bachchan. 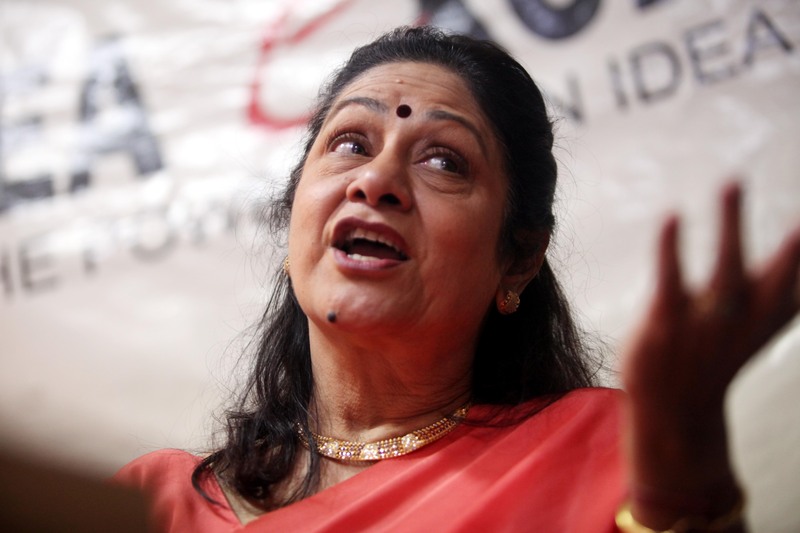 Aruna Irani: Yes but sometimes things don’t work as you want them to. After the success Bombay to Goa, everybody told me I should take a six-month break. But when you have family responsibilities, you can’t afford a break. Garima Mishra: Do you consider Caravan as the turning point of your career? Why? Aruna Irani: Do you know that Caravan and Bombay to Goa released simultaneously, and both did jubilee. Surprisingly, for the next six months, I had no films. I don’t know, you should ask the producers. I couldn’t sit at home because I was the eldest in the family and the bread-earner. Sunanda Mehta: So your decision of joining the film industry was partly to earn and look after the family. Garima Mishra: I read somewhere that you wanted to be a doctor. Is that true? Aruna Irani: Yes. That craze is still alive. Now also, when I visit a doctor, I discuss things in great detail. Nevertheless, whatever God has made me by his grace, is also amazing. Anuradha Mascarenhas: You have done regional films, television as well as Hindi films. What really gives you satisfaction? Aruna Irani: Let me tell you, when you are acting on stage or in Hindi or Marathi films or TV, you are only acting. That’s the actor’s job. An actor should not consider any role small or big. When Hindi films reached a stage where there was no role for actors of my age, I shifted to television. And I got a great response. After writing, production and directing for seven years, I got tired. It was affecting my health and so I gave up production. Now I only act in TV serials. Geeta Nair: Didn’t you consider directing films? Aruna Irani: Because I wanted to get into direction, I came into television production to get the feel of the whole process. As an actor, I had seen how the scene opens, script, camera placing and so on but had not executed them. ‘Jaise baraat main jaana aur shaadi karna do alag cheezein hain’ (Going for a wedding and getting married are two different things). Nisha Nambiar: Did you take any formal training? Aruna Irani: That’s why I joined television. My shows like Mehndi Tere Naam Ki, Des Mein Nikla Hoga Chaand etc were super hits. Television was at its peak. TV serials were doing better than films. When things changed on the film front after five to seven years, the crew and the artistes had also changed. The new lot of directors and actors didn’t want to work with the senior actors. That’s why I settled for television and am happy in this space. Alifiya Khan: You said you took a break from TV production. Going by the competition and the multitude of serials, flavours, how do you perceive the current scenario of the industry? Aruna Irani: TV industry is doing superb in comparison to films. The presentation, costumes etc are of high class and artistes are paid so well. Shooting a TV serial is much more profitable than films. A producer erects a set for four to five crores for a soap that stretches one to two years. A film shoot gets wrapped up much earlier. Sunanda Mehta: Do you think even Marathi films have evolved? Aruna Irani: Yes. The regional films are made at high budgets. Marketing is given so much importance. It wasn’t like this before, never. Garima Mishra: Your role in the film Beta was praised and you even won an award. There is an interesting story behind it. Can you please share it? Aruna Irani: My brother was producing the film. For this role, he approached Waheeda Rahman, Mala Sinha, Sharmila Tagore and Shabana Azmi. Everybody refused the role because it had negative shades. One day he came to me and offered me some other role in the same film. Till then I had done so many Gujarati films and all the films had done very well. I told him that ‘if you wouldn’t have asked me to play the role which you offered to other big actors of Hindi film industry, I wouldn’t have felt bad. I felt bad that you offered me a different role.’ I was very angry and asked him to leave the house. Next day, he came and said ‘Aruna ben, you were right. You are made for this role.’ I started crying thinking he is offering me the role because of the fight we had. But he told me that, he had visited Shabana and Javed Akhtar. They told him that I was perfect for the role. The role demanded me to convey everything through expressions than dialogues. Sunanda Mehta: You have maintained yourself so well. Tell us how you keep fit? 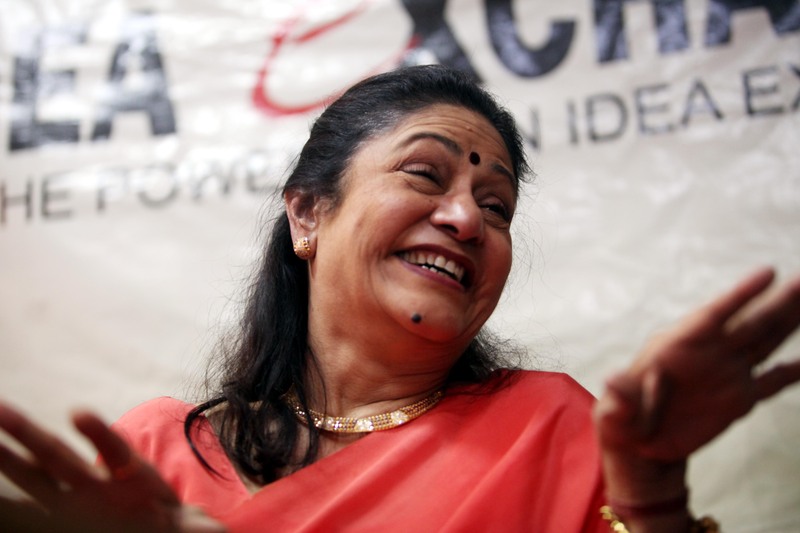 Aruna Irani: I do a lot of things, which is not possible for everyone. My help is busy from morning to evening and goes crazy following my beauty rituals. I begin my day taking a few kalonji seeds, follow it up with ground haldi and later I take green tea. And then, my day starts. I take dry fruits but in specific quantity – two of each variety. I also go for walks. I apply castor oil on my eyelashes to make them longer. No matter how late I come home from the shoot, I don’t go to bed without the face massage. Garima Mishra: You have worked with so many known actors. With whom did you share the maximum comfort level and who is your favourite? Aruna Irani: All of them. I shared a good equation with senior actors like Rajesh Khanna, Amitabh Bachchan and even younger actors like Chintuji (Rishi Kapoor). Amitji is a thorough gentleman. He still stands up to greet whenever we bump into each other. I haven’t come across a human being like him. Sunanda Mehta: Tell us about your personal life? 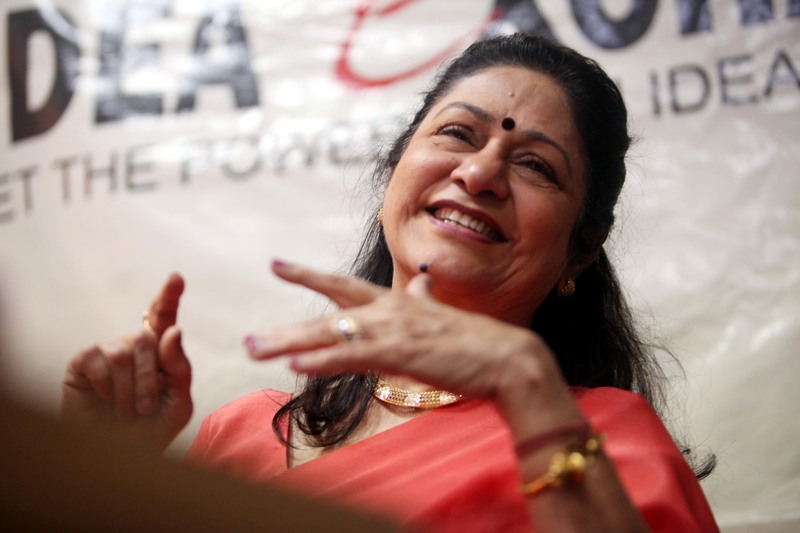 Aruna Irani: At 70, I don’t want to talk about it. It has been such a long time. I am happy with whatever God has given me. Geeta Nair: Why don’t you write a book on your life? Aruna Irani: I think a book should be written in all honesty. But if I do so, it might make people associated with me uncomfortable. What is the point of writing a book when you are editing it before publishing it. Hence, I would rather not write a book.